„A Sense of Place“ was the subject of the first Wim Wenders Masterclass in North Rhine Westphalia – where the foundation is based. On Saturday, the 24th of November 2018, Wim Wenders spent a day in Cologne with the „ifs internationale filmschule“ and the „Academy of Media Arts (KHM)“ students, discussing the meaning of „sense of place“ for filmmakers today and supporting them as a mentor. Ten participants from both schools were selected out of many submissions. They were given the opportunity to discuss their individual questions and reflections on the role of the „genius loci“ in their current film projects. 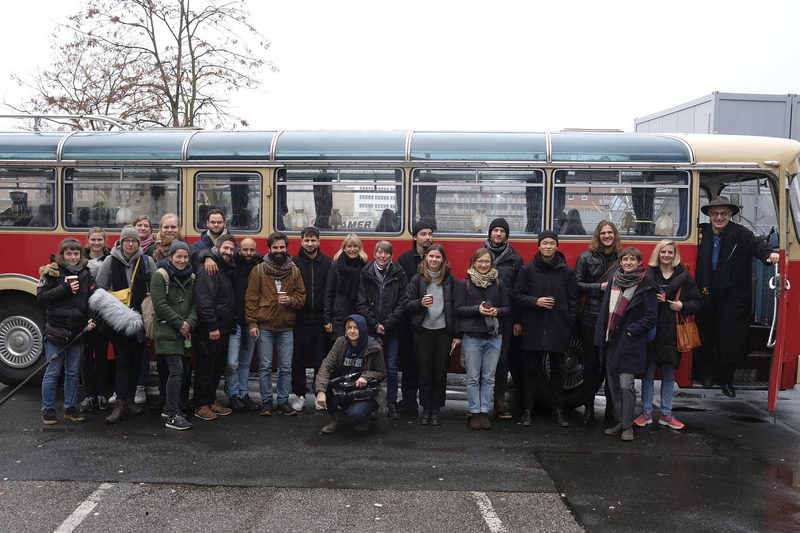 The Masterclass did not only take place at the film schools: an oldtimer bus served as a „rolling class room“ for the occasion, driving from one school to the other across the Rhine.